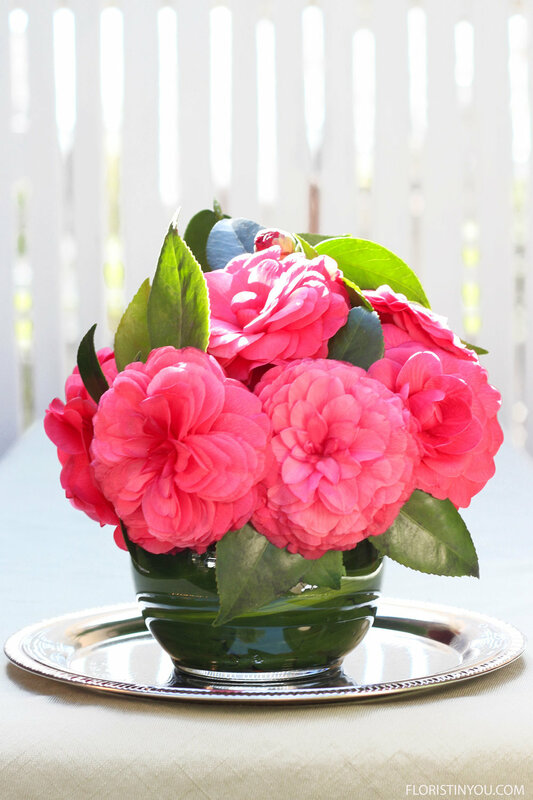 Camellias are still in bloom in Southern California, but if you are in an area where they are not in bloom, you can make this arrangement with roses or peonies. Last week's arrangement had ruffly camellias with long golden stamens. This arrangement uses Nuccio's Bella Rosa Camellias that have symmetrical leaves with a geometric shape. 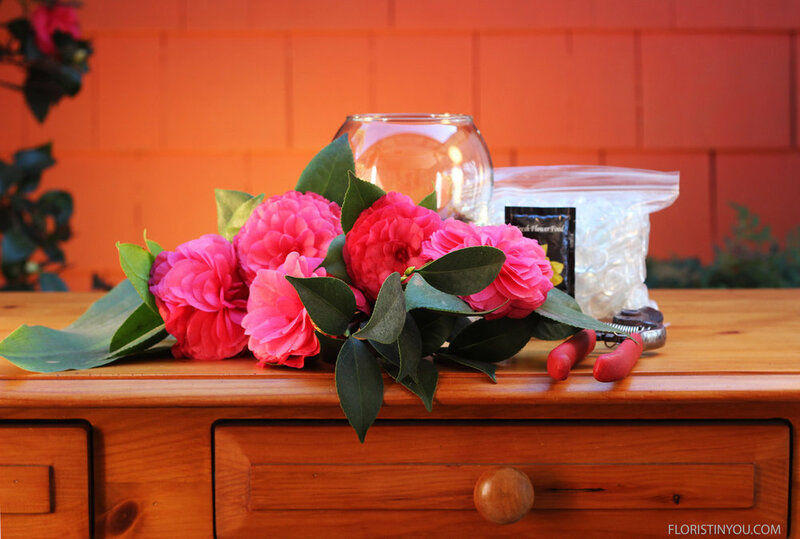 If you have your camellias and supplies, let's begin. 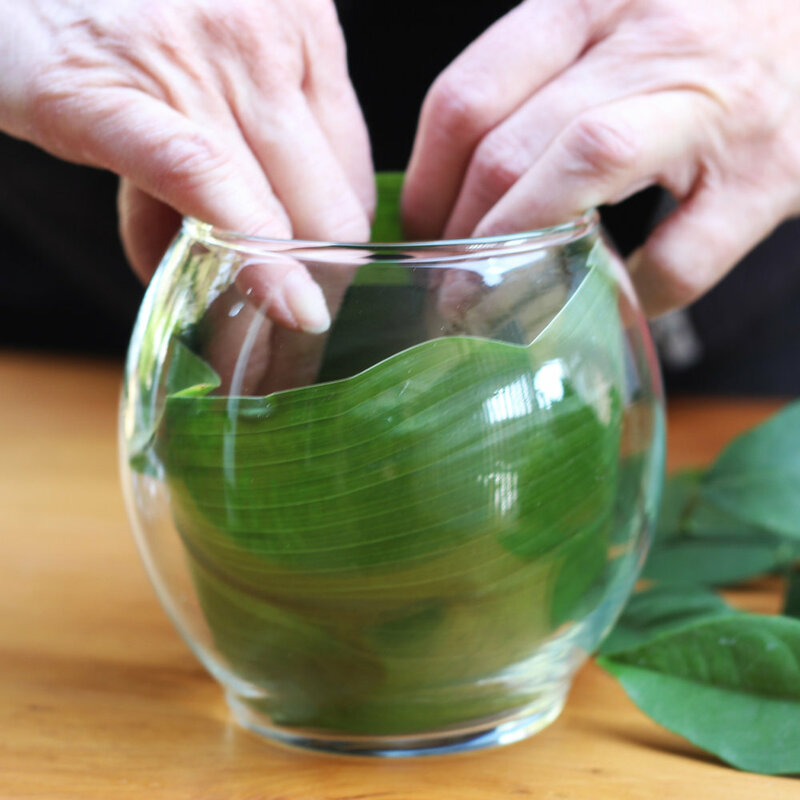 Wash camellia leaves. Don't get blooms wet. Cut stem off tea leaf and bend end. Fit into vase and press leaf to sides. 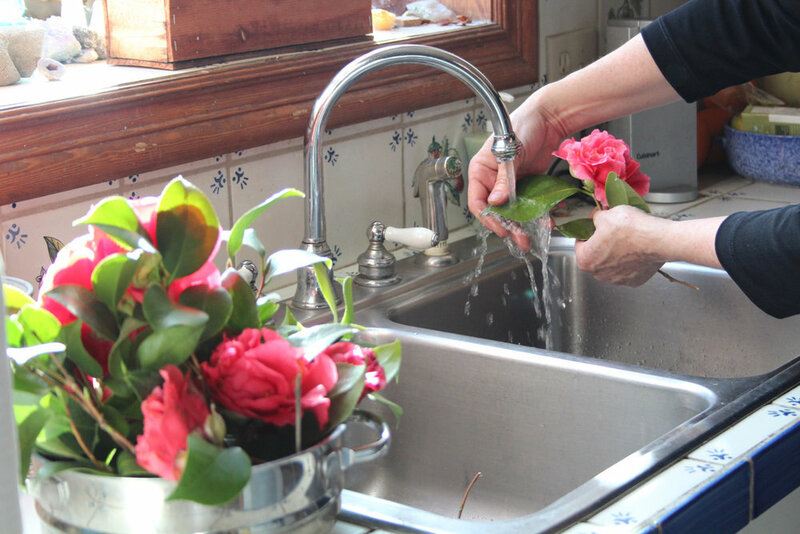 Put flower food into water. Fill vase to an inch below the rim. Put two tallest camellias in. Fill in with 5 more camellias, keeping round shape. Put 1 more on each side, filling shape out to the sides more. Now you have a beautiful little centerpiece from your garden. Enjoy.